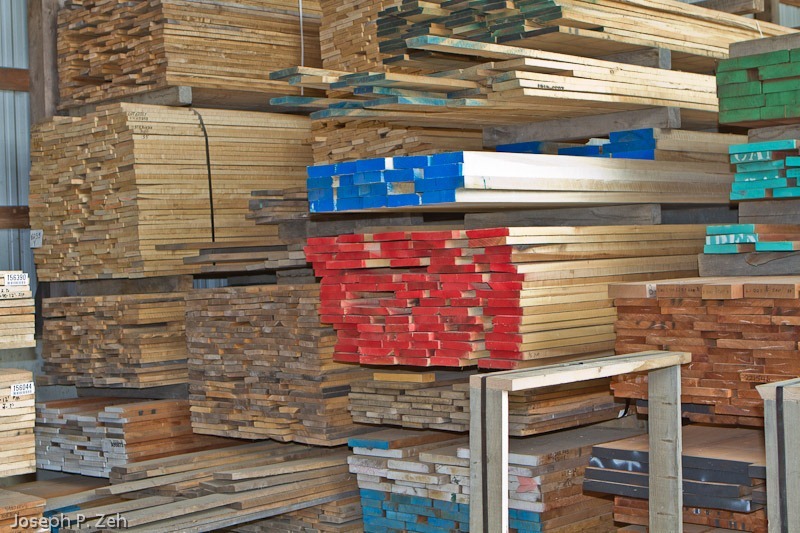 Old Woodworker’s Proverb – Keep Your Friends Close & Your Hardwood Supplier Closer. 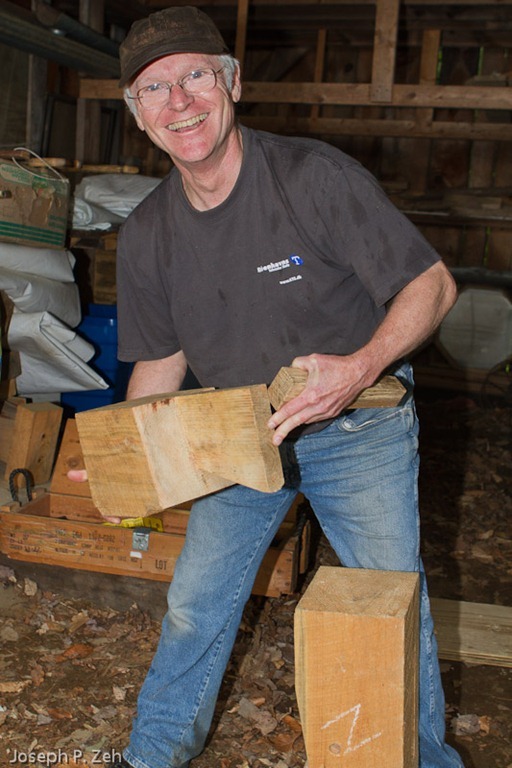 I am fortunate to own 5o acres of forested land and live in an area where I can fell trees and hire local sawyers to cut them into rough lumber. That is how I get much of what I use in my shop. However, that strategy limits me to local species and generally narrow and four quarter stock. When I need other species, exotic species or larger stock I first call Sue to see if she has what I need, and she usually does. 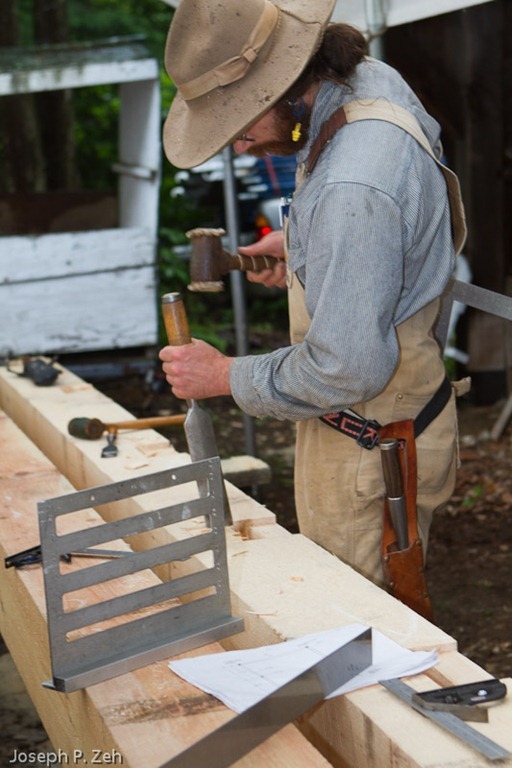 When crafting fine furniture, as important as woodworkers skills are to its final results, is the quality of the wood he/she uses. For this reason it is important to have a source you can trust and whose products are of the highest quality. 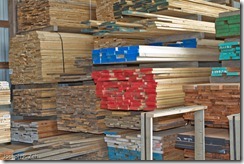 That is why I turn to Forest Products Associates. That and the personality known as Sue. 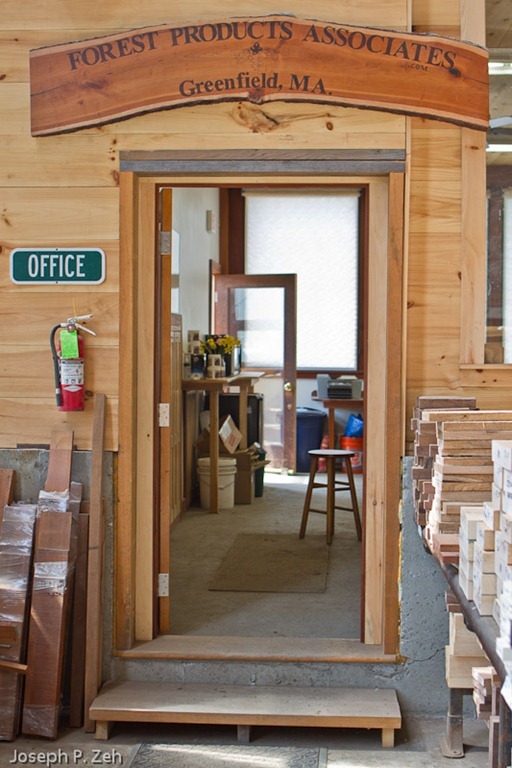 Forest Products Associates has been a family owned business for over 60 years, located on the outskirts of Greenfield, Massachusetts. 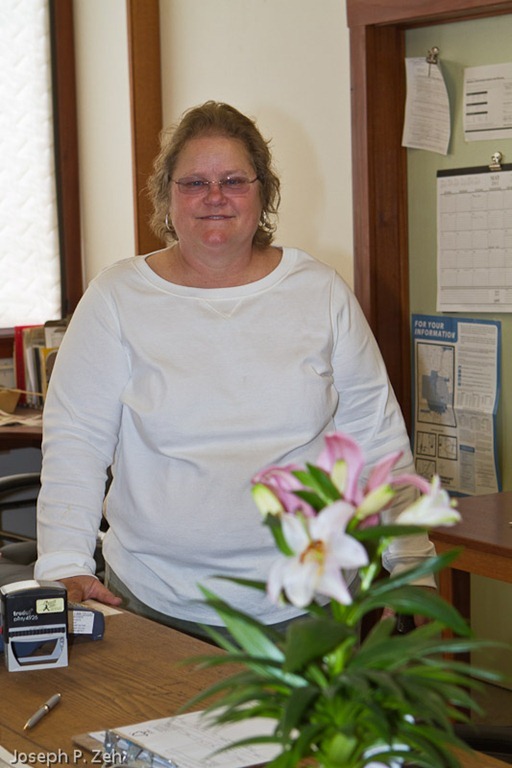 Founded by Lee Fisk, today it is run by Susan Fiske. Sue lost her mom a few years back and her dad remarried. He now lives in Texas and is not active in the business. 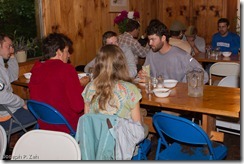 Sue’s clientele ranks in the four thousand range and growing. 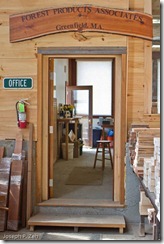 Her customers range from hobbyists like me to professional cabinet makers, contractors and architects. 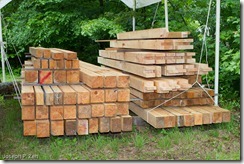 When I first started buying lumber from Sue she had four or five sheds, though one was the primary shed. 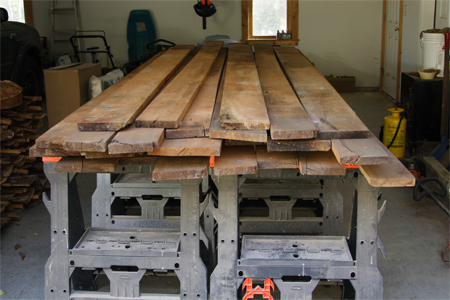 I believe one or two may have been used for drying lumber. 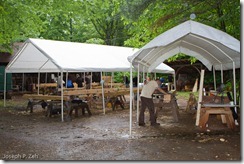 The sheds with dried lumber were open to the weather, protected only by a slanted roof, sides and back. 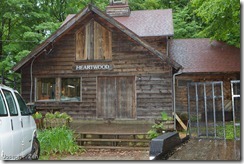 The office was a small, cramped trailer with two wooden steps. Climbing the steps and opening the door at the same time took a little skill. The office fit about two people; Sue and a customer. 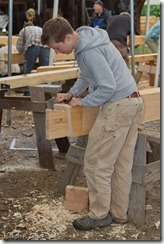 In the winter it was a colds days task just to sort through lumber for a project; a task I never looked forward to. 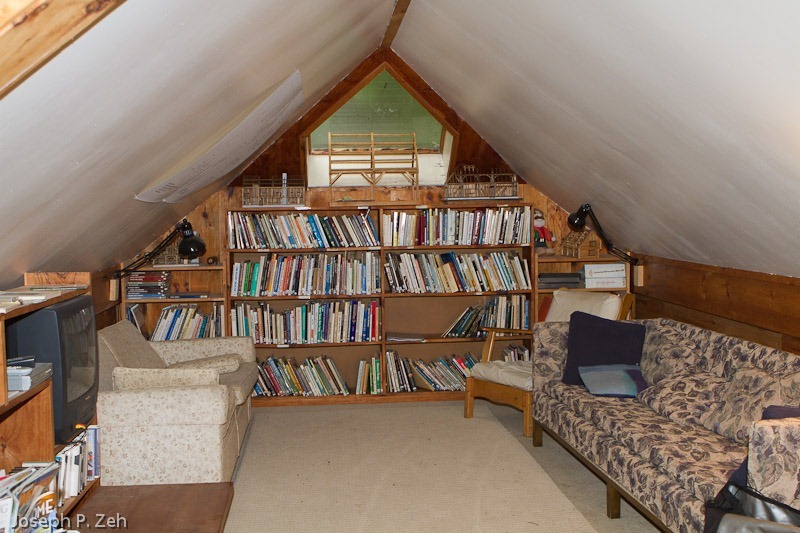 On these January days even the office seemed large and cozy. I have no idea how Sue made it through those entire days of winter, day after day, and remained cheerful and helpful whenever a customer arrived. Sue always has a smile on her face and is willing to spend as much time as you wish. 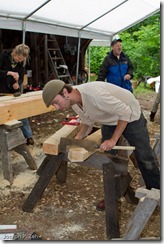 Her knowledge of wood is endless and I have often picked her brain about its characteristics. 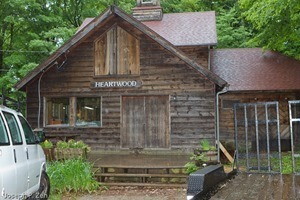 Several years back Sue built the current shed. 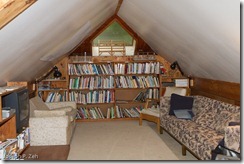 This one is huge, closed in, concrete floor and well organized storage shelves. Shortly after it was completed a storm reduced a third of it to rubble. So Sue did what she usually does; she smiled and rebuilt it – but even better. 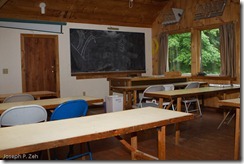 It now has a spacious and comfortable front office. She is very proud of the sign that hangs over its door with the name of her business, and the little sign that announces Office. I suspect the door is seldom closed. Sue is one of those rare business people who really want the customer to be happy with her product and she maintains a quality control level also rare in business today. 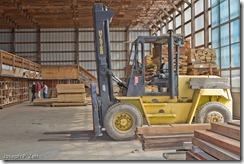 On many occasions she has helped me sort for the lumber I needed. Sometimes she would steer me away from certain board(s) based on my description of the piece I was building. 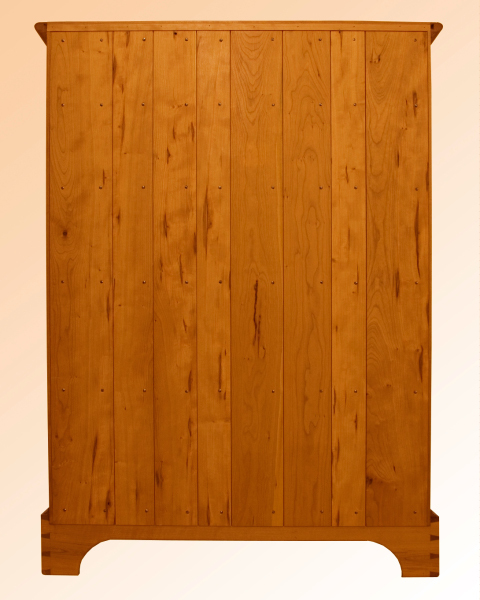 She would say “there is nothing wrong with that board, but if you are going to use it on the front of that hutch we can find you better grain patterns” or something of the kind. 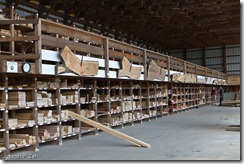 I live about one hour from Forest Products Associates, so I always call Sue first to see if she has what I need. She carries a cell phone at all times and is always available. 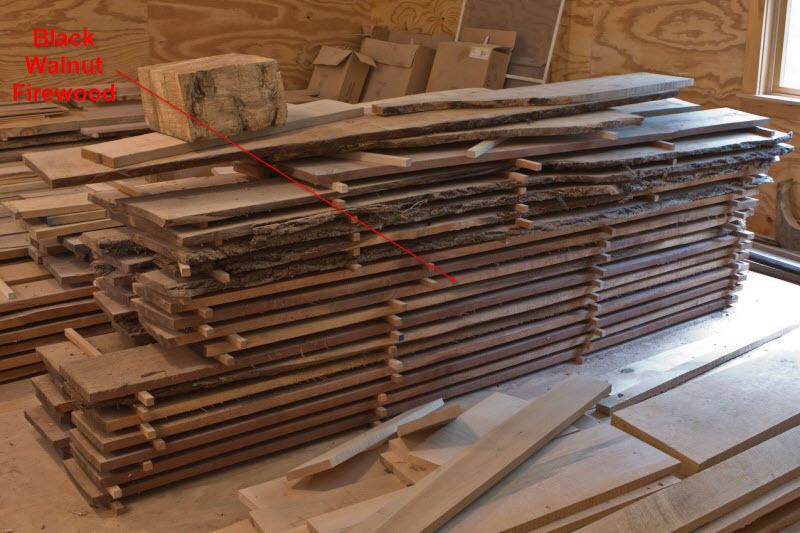 Sometimes the lumber I want is still on a palette and not yet graded. She has always offered to have it open for me by the next day, and if necessary grade it for me as I select it. These days, because her dad has moved and is no longer active in the business, Sue’s responsibilities have grown and she has hired staff to help. She needs to spend more time in the office or on maintenance projects. So when you call you may get a staff person, but rest assured they will be every bit as helpful as Sue. And you can always find Sue somewhere there, and she is always willing to talk and brighten your day. 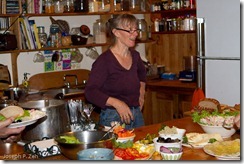 Sue’s products have grown over the years both in size and variety. She now has a much larger variety of exotics and large pieces for custom tables. She also has larger inventory of wider and thicker stock. 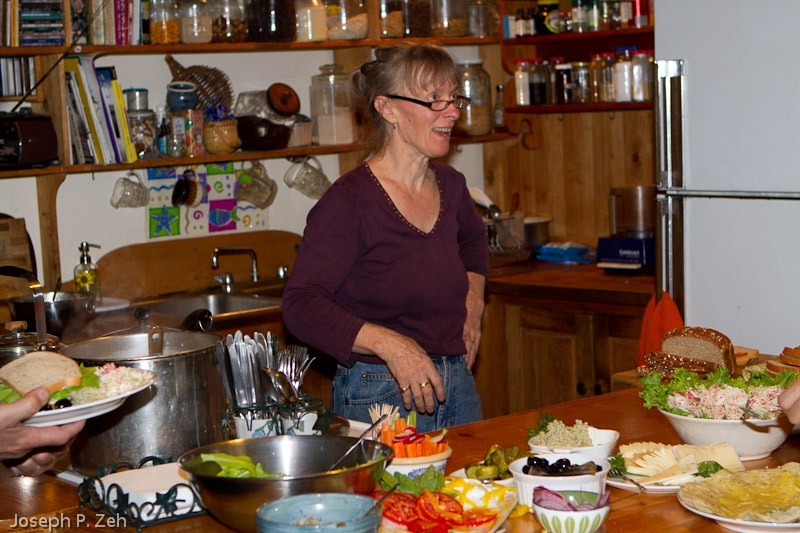 Her business has grown in spite of the economic downturn. 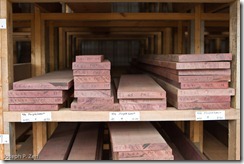 For more information on Forest Products Associates, check out their web site: http://www.forestproductsassociates.com/index.html. 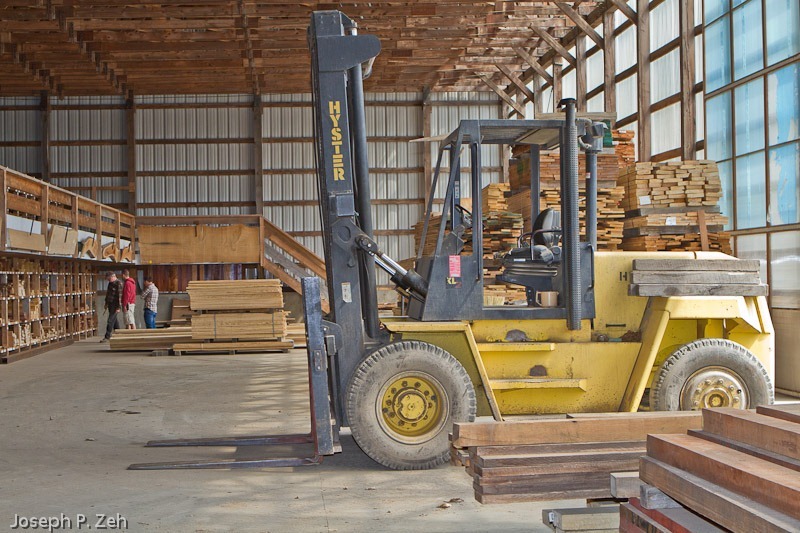 If you live near or within reasonable driving distance of Greenfield, MA you will find Forest Products Associates a reliable, quality supplier of rough cut hardwood. Check them out. Give Sue a call or stop in. 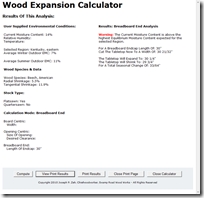 Wood Expansion Calculator 1.0 is now available. 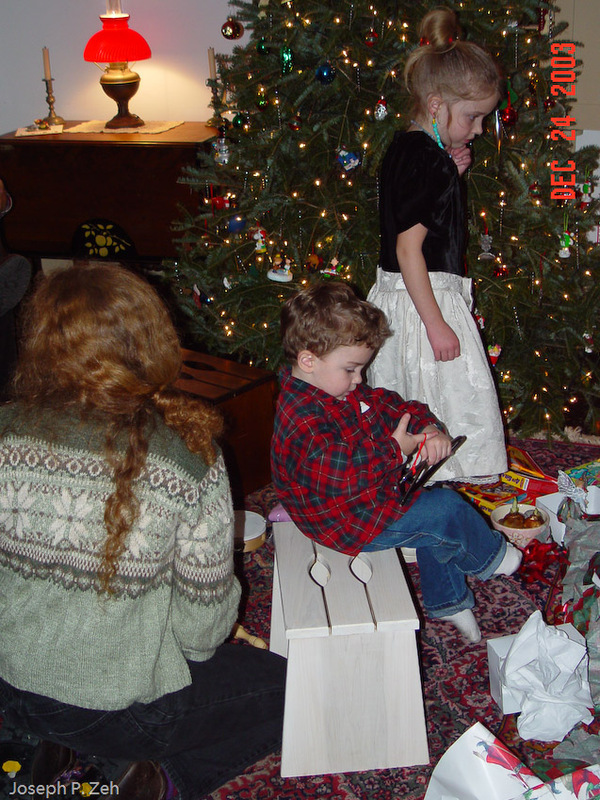 The picture at left shows some of the major changes. When using the Relative Humidity input option the temperature can be specified in either Fahrenheit or Celsius. The other temperature scale will be calculated and also displayed. 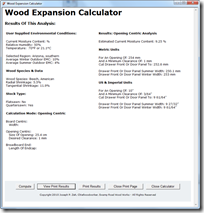 When choosing a Calculation Mode input boxes appear for receiving user specified dimension inputs. These can be supplied in either Imperial (US) or Metric units. Where i is an integer whose first digit cannot be a zero. Where n is a decimal number and the first digit cannot be a zero unless the decimal point is immediately to its right. In fact, a decimal number less than 1 must begin with a zero such as 0.967 cm. Note the space between the dimension and its unit. This is required. Where i, n, d, and f must be non-zero integers who’s leading digit also is not a zero, e.g. 0123 is invalid. Note, unlike the Metric units, there is no space between the dimension and its unit; in fact a space will create an illegal entry. Consistent with supplying the alternate units results as was the case with temperature, the output will show results in both systems of measurement. The type supplied by the user will appear first and the alternate second. 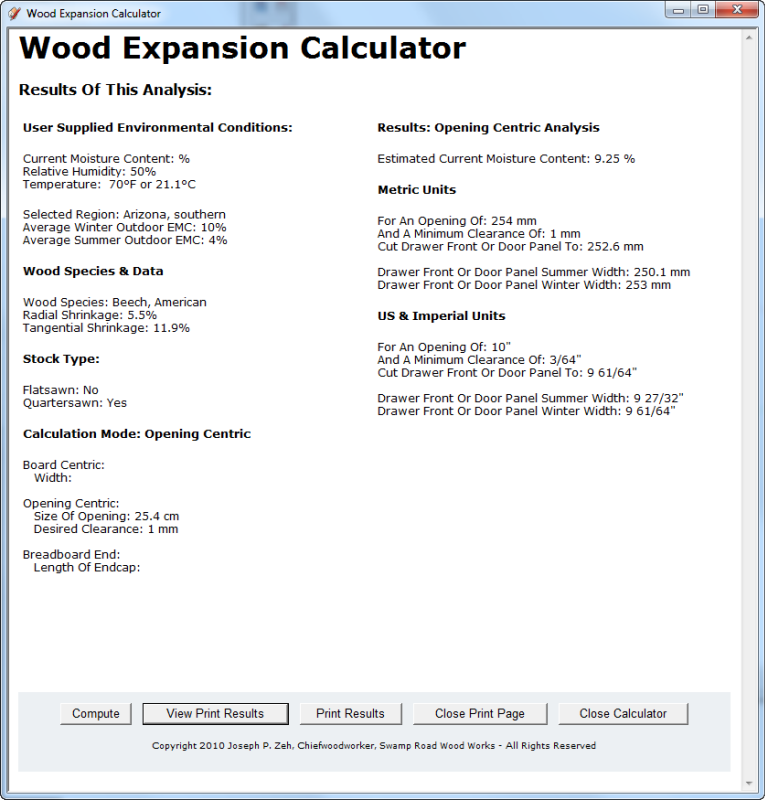 A sample results page can be seen at right. A number of bugs were fixed in this release but do not materially change the functionality. Provide the capability for users to supply their own Regions and corresponding EMC values. Provide the capability for users to supply their own Species and corresponding shrinkage factors. Provide memory so that user settings and inputs are restored when next the tool is opened. Strengthen the help messages, especially for the dimension inputs, and add more help features. If you have any suggestions please pass them along in a comment to this post (preferable because others can see them) or forward them in email. 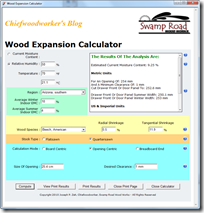 Download Wood Expansion Calculator here. 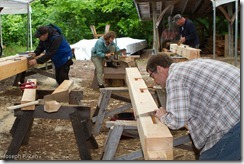 I have written a number of blog posts dealing with techniques for handling the seasonal change of wood movement and I am sure to write some more in the future. 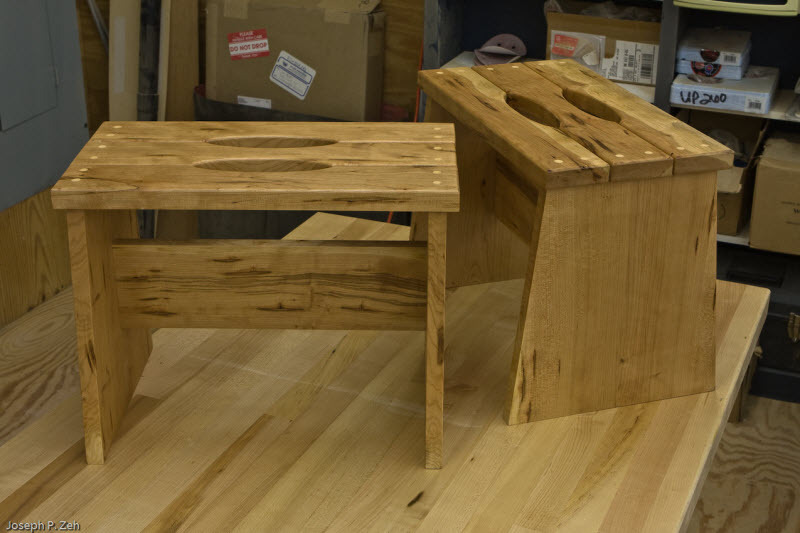 If you have crafted much in the way of furniture, or other pieces constructed from rough wood, you know you have to take wood movement into account in design. Failing to do so will ensure cracks and structural failure. If you do not believe this let me point you to two very good articles outlining the problems and solutions. 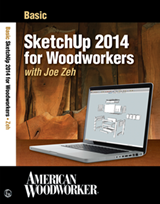 First, an article that appeared in American Woodworker, 1993 issue number 34. 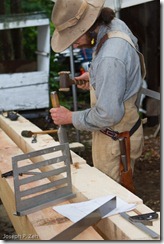 The title is Coping With Wood Movement – How to Build Furniture That Won’t Crack or Split, pages 38 – 43 and written by Jim Cummins. If you don’t have this issue you can find it on the internet by clicking here. 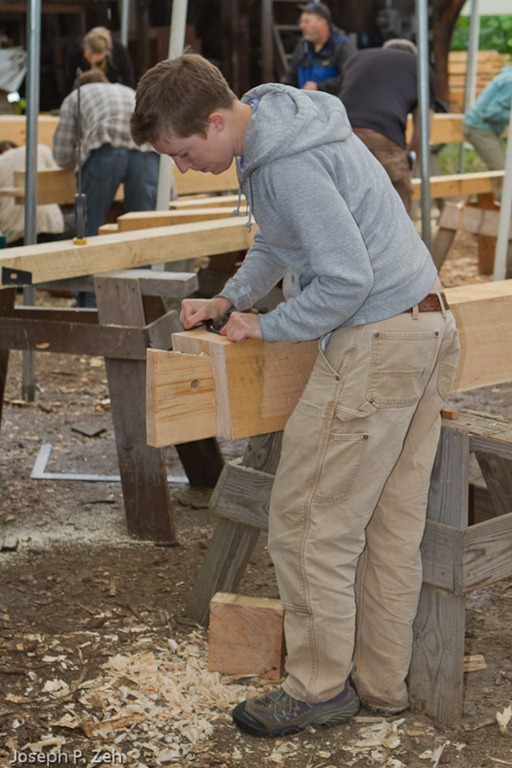 The second article is titled The Shrinking and Swelling of Wood and Its Effect on Furniture by Carl A. Eckelman. I will make this and other references available via Adobe PDF download at the end of this blog. Both of these articles outline specific construction situations, the effects of moisture and resulting wood movement on them, and techniques to avoid the problems that can arise. In both articles the author points out the importance of knowing how much movement to expect and that is the focus of this post. 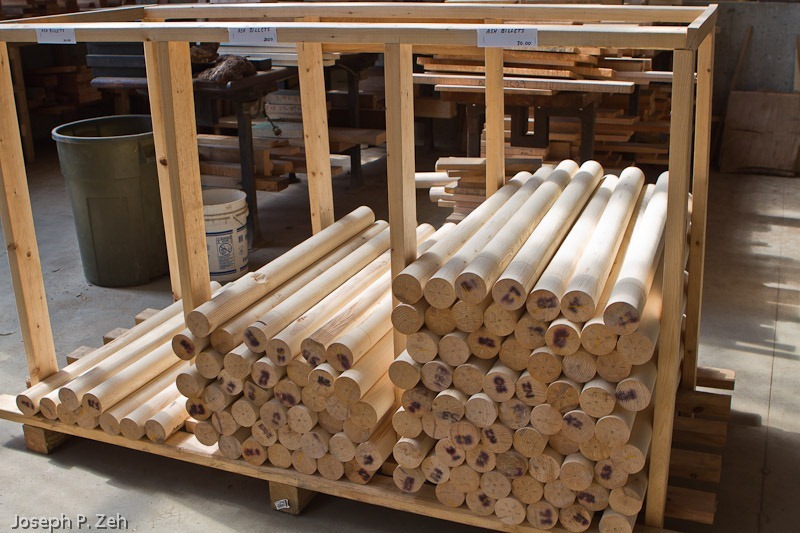 The drying process from green moisture content to FSP, while making the lumber less dense or heavy, does not cause any shrinkage and in fact the lumber is still in its weakest state when it reaches FSP. 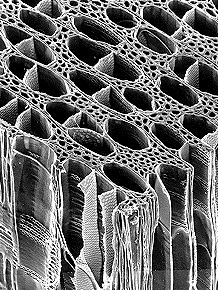 As the tree (lumber) continues to dry from FSP to 0% (called oven dry) it gives up bound water from the cells, shrinks and becomes stronger. The shrinkage is quite linear from FSP to oven dry and the total shrinkage, expressed as a percentage, can be measured in three dimensions: radially, tangentially and longitudinally. 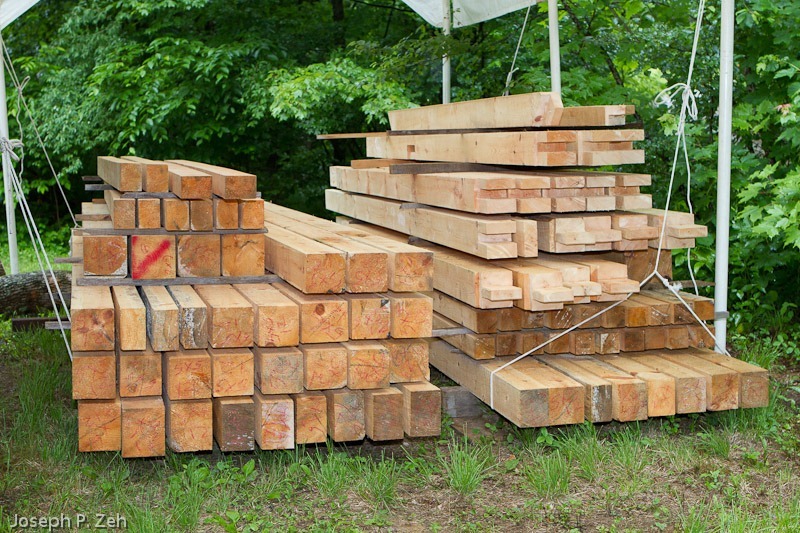 Longitudinal shrinkage, which occurs along the length of the lumber in the direction of the grain, is very minimal and is generally neglected. 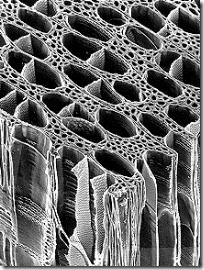 Tangential shrinkage occurs along a line tangential to the tree’s growth rings and radial shrinkage occurs along a radial from the center of the tree. 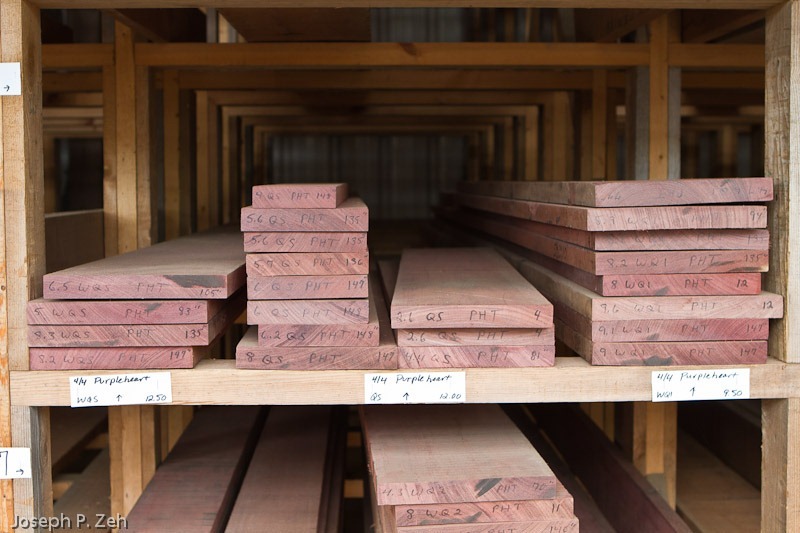 These two factors are called tangential shrinkage factor (expressed in percent) and radial shrinkage factor and can be related to two common types of lumber: flatsawn and quartersawn respectively. Tangential shrinkage is usually about twice as large as radial shrinkage but they each vary widely from species to species. 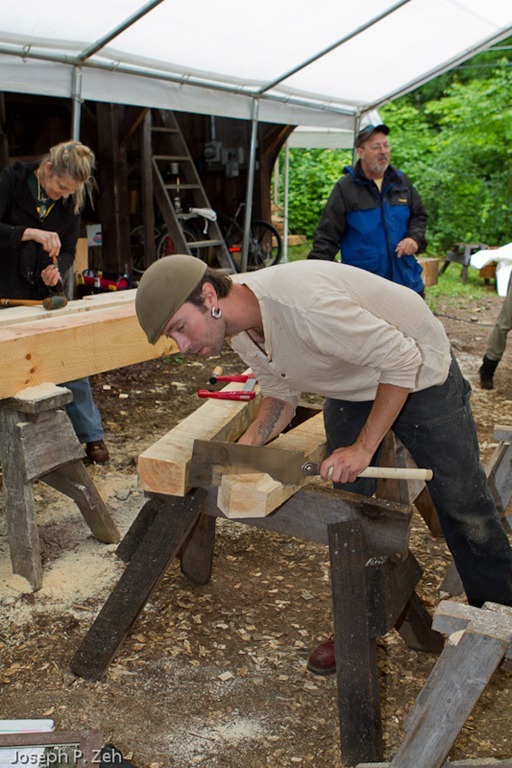 In real life no lumber is cut exactly quartersawn or exactly flatsawn (also called plain sawn). 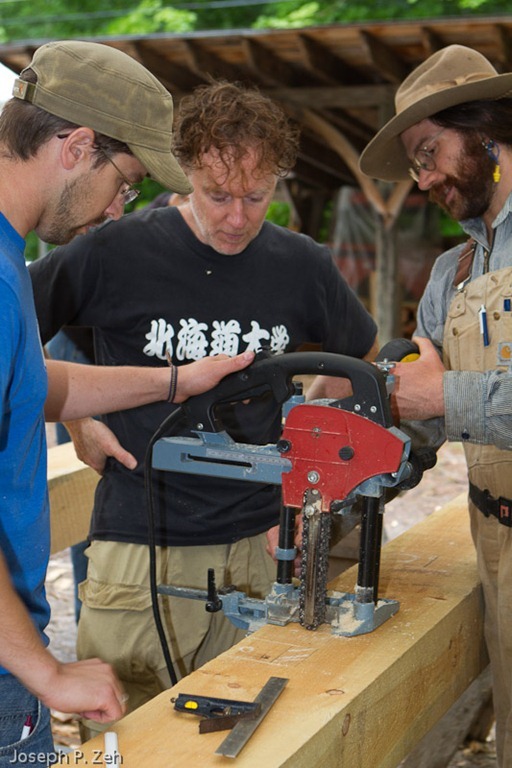 As a craftsman you have to make a judgment call. If in doubt you might want to consider treating your lumber as flatsawn because that would be worse case. 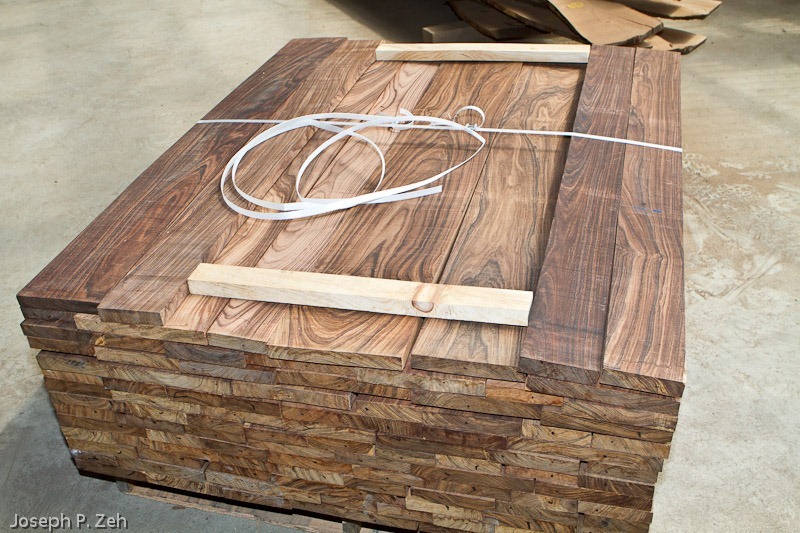 OK, so we know that wood shrinks as it loses water from FSP to oven dry. But the reverse is also true; it expands as it takes on moisture from oven dry to FSP. 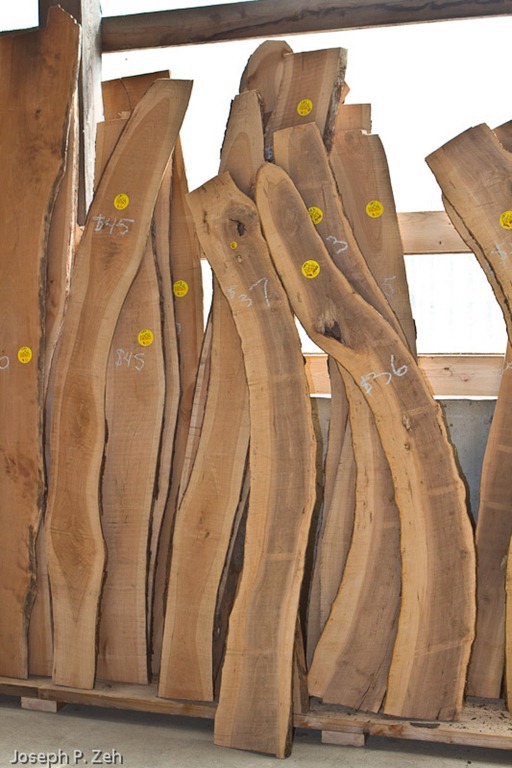 So what makes wood give up and take on moisture? Its environment. Relative humidity and temperature, and both change throughout the year, usually from dry air in the winter to moist air in the summer. 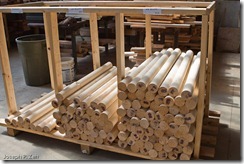 If lumber sits long enough in a given environment it will reach equilibrium with that environment. Suppose for instance that the average temperature and relative humidity have been 80 degrees Fahrenheit and 70% relative humidity for the past two months. 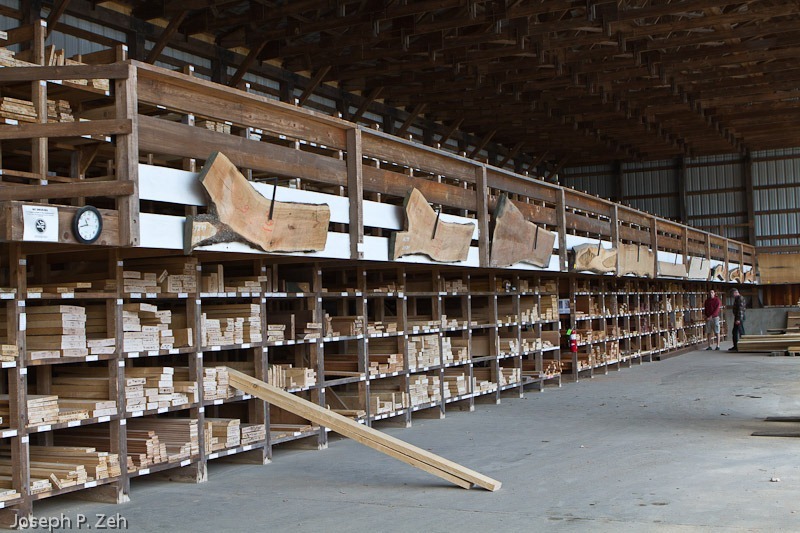 It is likely that lumber stored in this environment will come to equilibrium at a moisture content of 12.9%. Clearly higher than one would like if one intended to build a piece that would reside in Arizona. 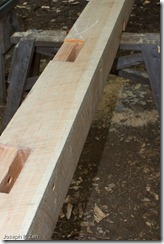 This is why we bring lumber into our shop and let it sit for a few weeks; to let it reach equilibrium. 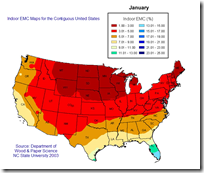 Most homes do not have humidity controlled environments and are subject to seasonal moisture changes. 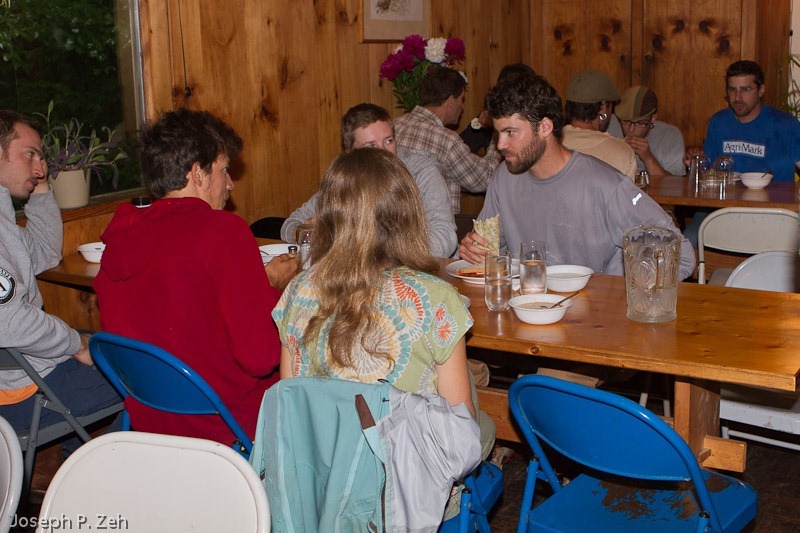 There have been a number of studies that have measured the outdoor monthly averages over the course of many years. 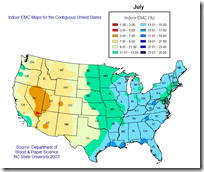 Through the use of computer models, these studies produced maps and tables of indoor seasonal ranges by region of the country. 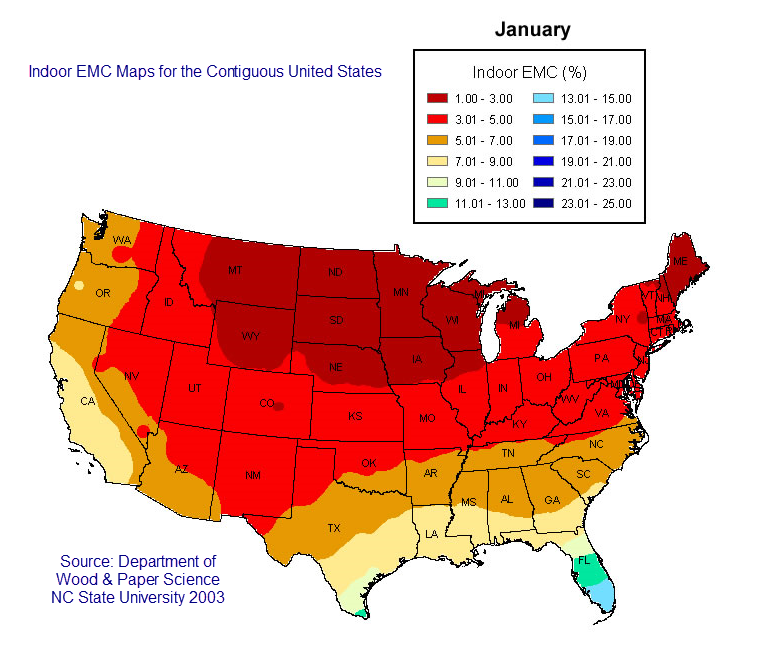 The Department of Wood & Paper Science at North Carolina State University produced such maps in 2003 which you will find by clicking here. 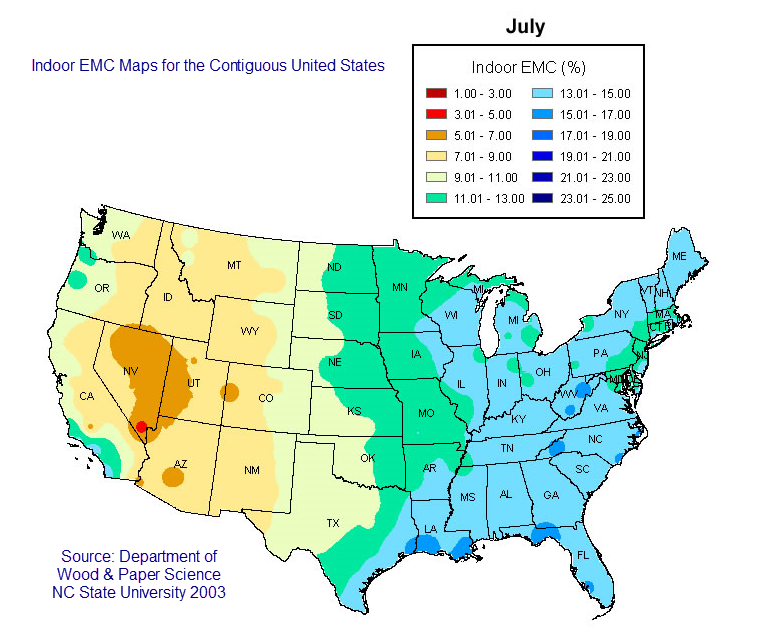 These values are called Equilibrium Moisture Content or EMC and represent the moisture environment a piece of furniture would be exposed to, on average, for each month and by region. This brings me to the real topic of this post – a SketchUp Plugin tool called Wood Expansion Calculator. 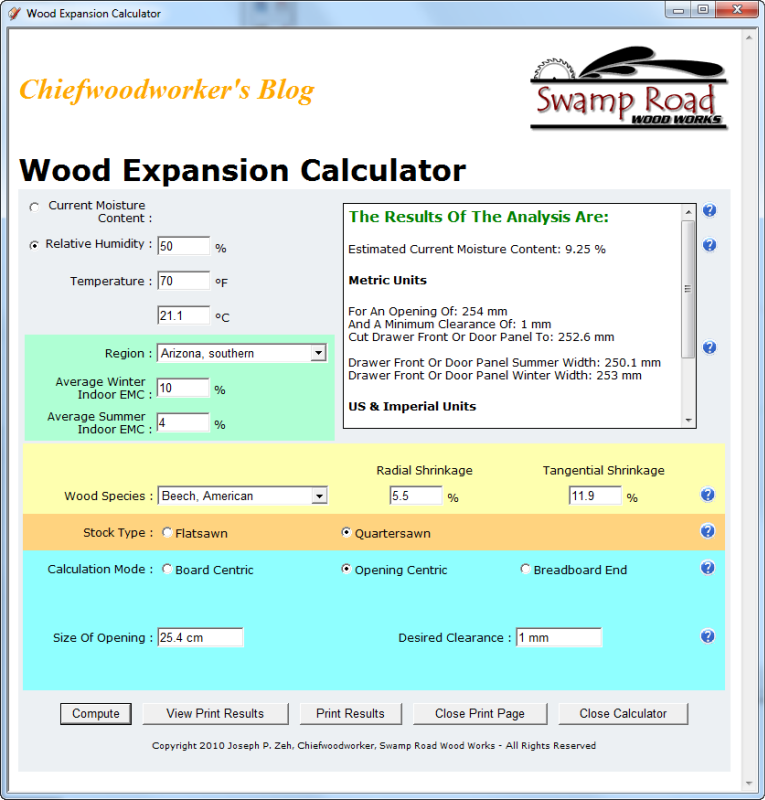 I created Wood Expansion Calculator to estimate just how much expansion and shrinkage you might expect in a given structural situation. 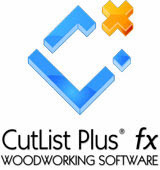 I developed this tool because I have for years used a stand alone application called Wood Movement Master by Kite Hill Software which does precisely this. You have probably read some of my articles where I used this tool. Unfortunately, it is no longer available or supported by Kite Hill Software or its developer. I decided to pick up the gauntlet and provide the same capability in a SketchUp tool. 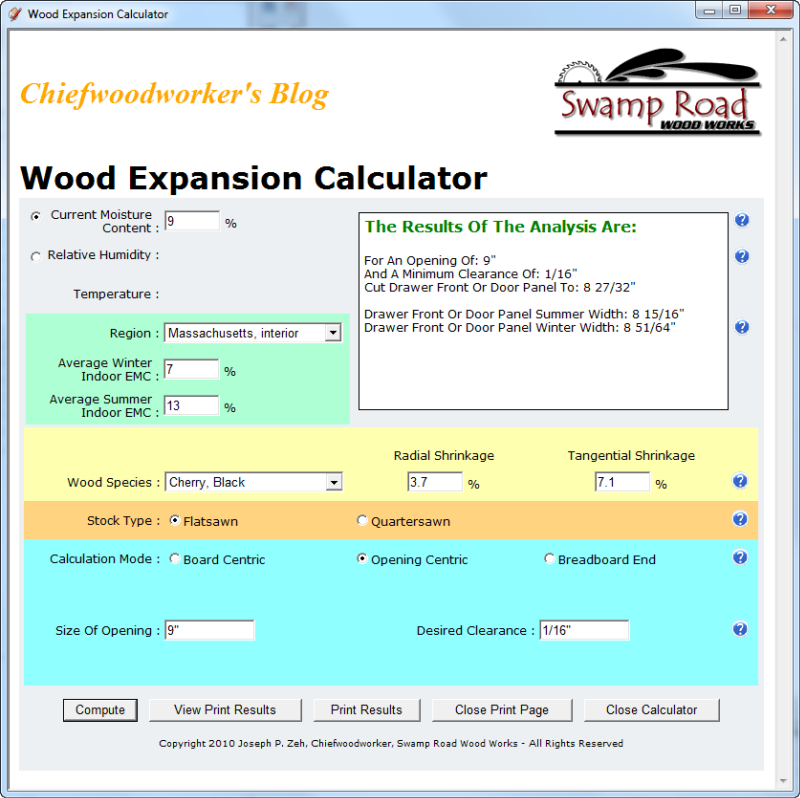 So here it is: Wood Expansion Calculator ZIP File. One note of caution. In my professional life (I am now retired) I was an electrical engineer and engineering executive. I started my career when CAD tools were nonexistent and you had to figure things out with paper, pencil and a slide rule. The advantage of this was that you developed a close feel for what you were designing. You knew the expected behavior intimately. Years later, when I was an engineering manager and CAD tools were ubiquitous, it drove me nuts to see a young engineer model a circuit, run the tool and take the results as Gospel. He/she had no feel for, or personal intimacy of the expected results. Don’t use this tool that way. It is meant to give you a quick, efficient, and yes accurate result so long as the input and assumptions are correct. 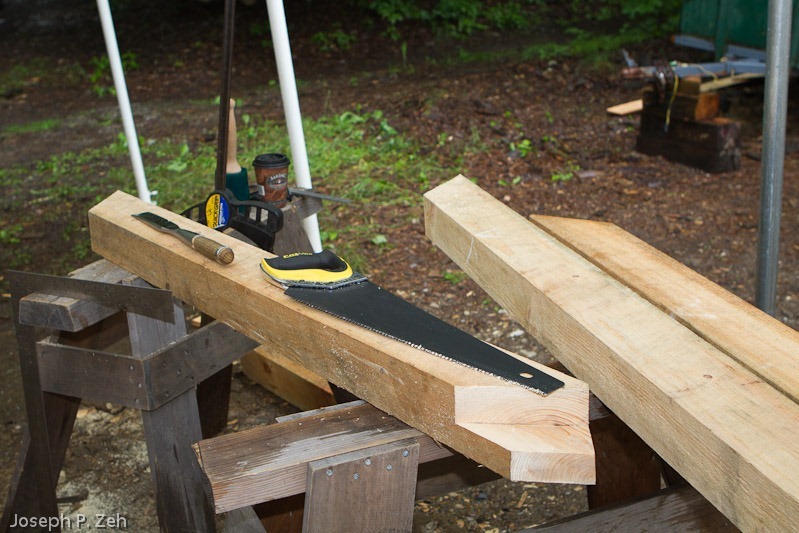 If, for example, the temperature is 100 degrees Fahrenheit today at 90 percent relative humidity, and expected to be 30 degrees Fahrenheit and 10% relative humidity tomorrow, don’t expect wood stored in this environment to respond to that change no matter what this tool might indicate. Moisture takes time to enter or leave a specimen; that’s what equilibrium accounts for. So use judgment as well as the tool. The tool itself is quite simple to use, and has Help notes for each input. To install the tool use WinZip to extract the one Ruby file and one folder to the SketchUp Plugins folder on your system. 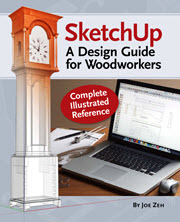 When you open SketchUp you can access the tool via Tools/Wood Expansion Calculator or go to View/Toolbars and check Calculators for a toolbar and icon (a tree). 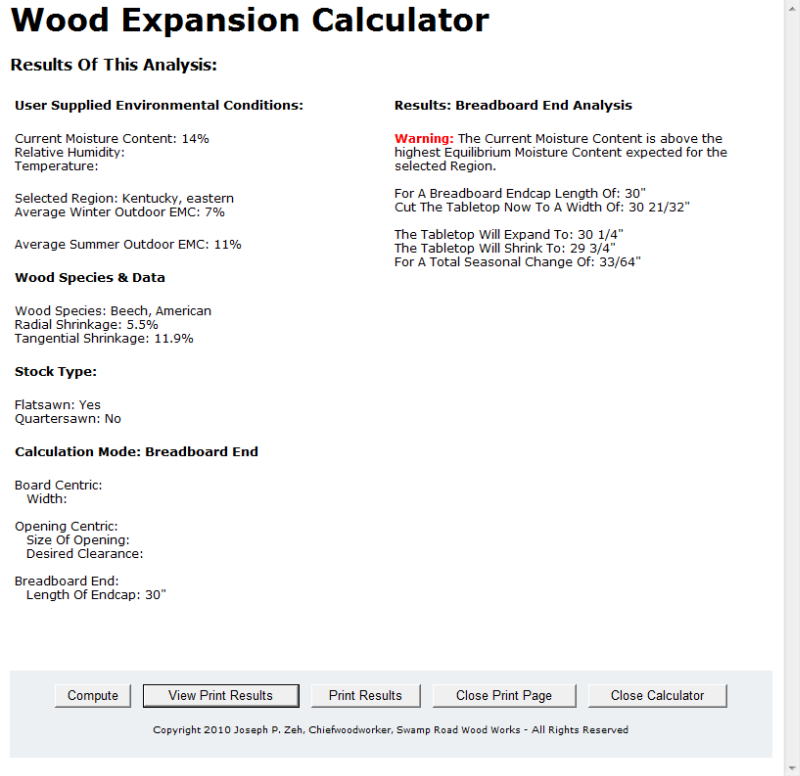 What you need to know to use this tools is the stocks current moisture content (best to use a moisture meter to measure this), the region of the country where you expect the final furniture piece to reside, the wood species, the stock type (flatsawn or quartersawn) and the construction situation you want to analyze (board centric, opening centric or breadboard end). If you don’t know the stocks current moisture content you can use a Relative Humidity and Temperature mode to calculate it. But be careful. Consistent with two paragraphs ago be sure to use average temperature and average relative humidity of the environment the wood has resided in for a period of time long enough to reach equilibrium. Do not use seasonal or daily maximums. 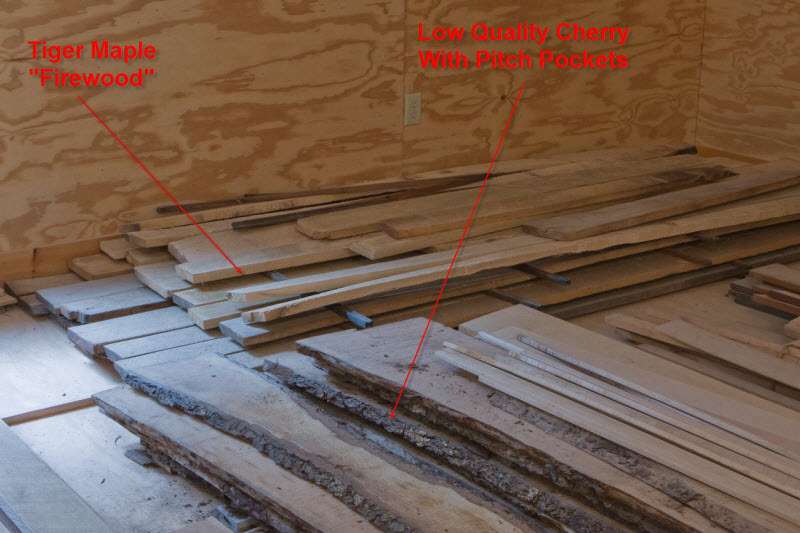 The wood’s moisture content will not respond to fast or temporary changes. One other note; board centric, opening centric and breadboard end are not a specific construction method but a representative method. 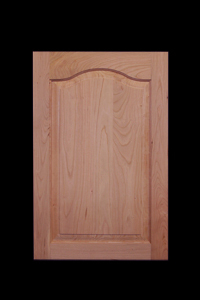 For example, opening centric includes drawer fronts that fit flush in an opening, but could also mean a panel that is framed to make a door. 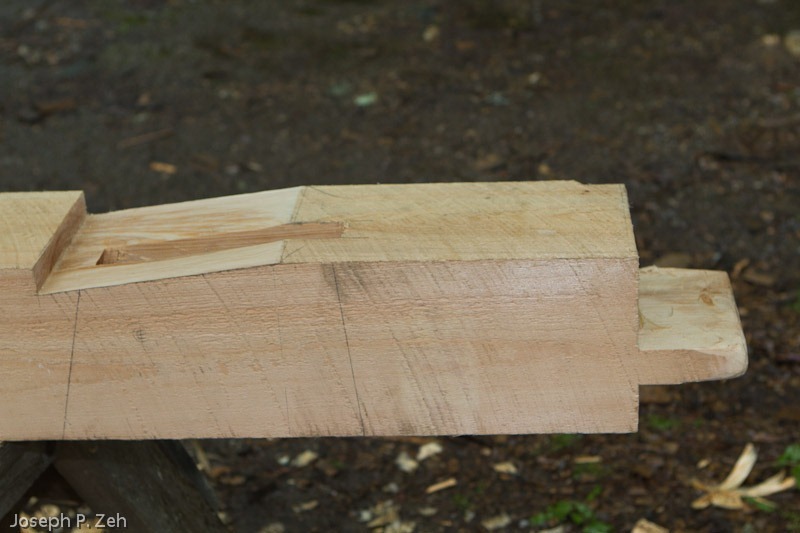 Breadboard end could represent any cross grain situation such as a mortise and tenon. Don’t let the labels limit your use of the tool. Understand what is being analyzed. 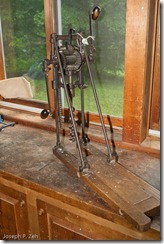 This tool currently works only with Imperial or US measurements. digit also is not a zero, e.g. 0123 is invalid. In the future I will expand it to accept metric measurements. The region table is the contiguous US only. In the future I hope to get data for other regions of the world. But you can still use this data by selecting regions that you know are close to environmental conditions in your area. Also, in the future are plans to let the user build their own environmental tables or to add their regions to the existing table. Lastly, I plan to add persistence to the tool so that it remembers the last set of conditions analyzed and uses them as the starting point when the tool opens. Please report all bugs directly to me, and include the conditions that resulted in the bug. 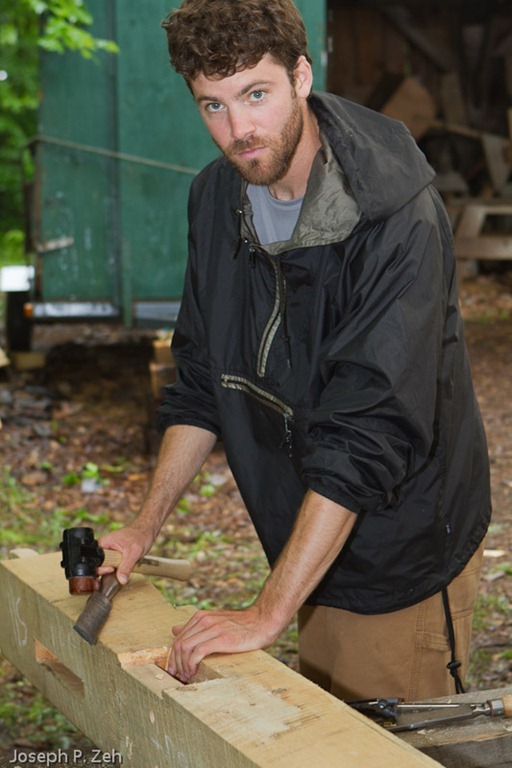 Thank you in advance, and I hope this tool serves you as much as Wood Movement Master has served me in the past. 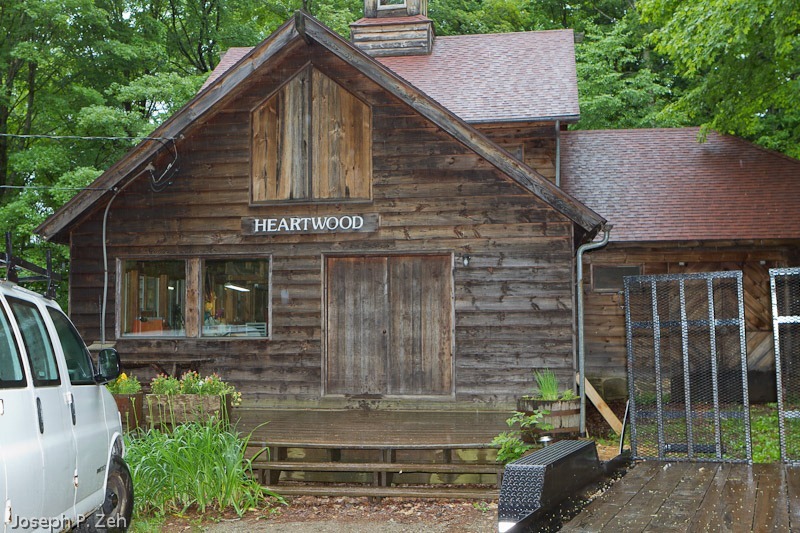 Centennial edition of the Wood handbook : Wood as an Engineering Material. This is an excellent reference book. You can download individual chapters in PDF format. 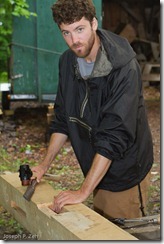 Chapter 04: Moisture Relations and Physical Properties of Wood is particularly pertinent to this blog post. 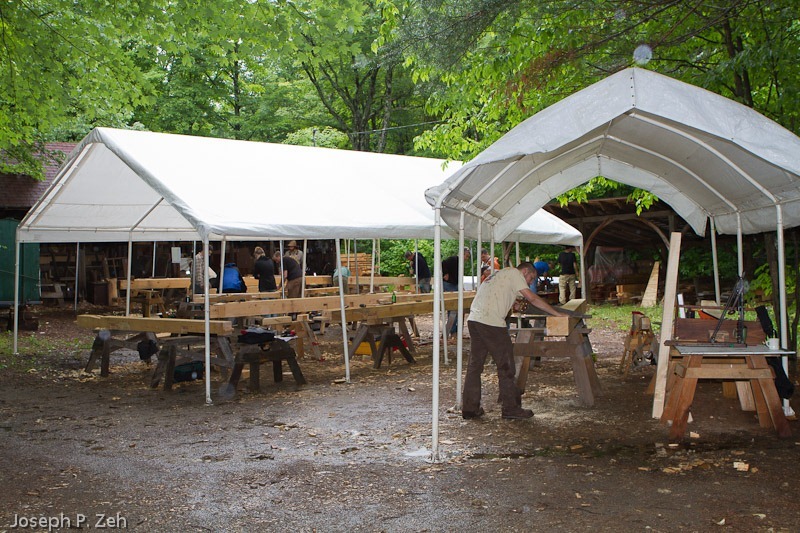 Understanding Wood – A craftsman’s Guide To Wood Technology by R. Bruce Hoadley is a book that ought to be on the bookshelf of any serious woodworker. 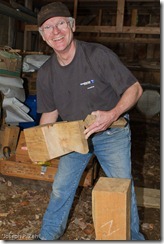 Chapter 6: Water & Wood is particularly appropriate to this subject, but the entire book is directed at the woodworker. 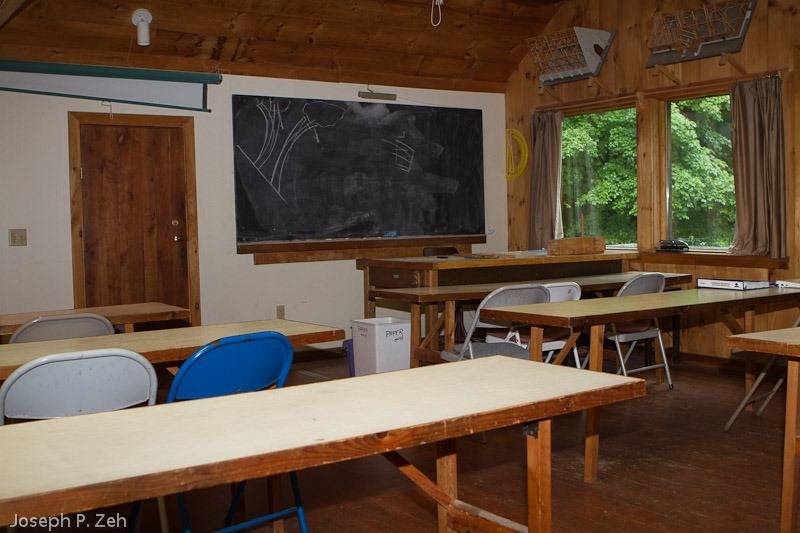 The Shrinking and Swelling of Wood and Its Effect on Furniture by Carl A. Eckelman was mentioned at the beginning of this post. 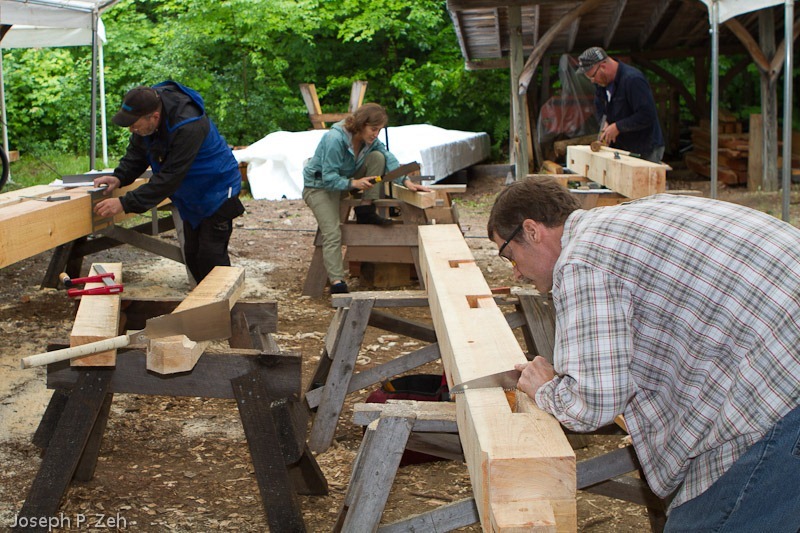 It is an excellent article on designing for wood movement. 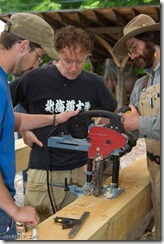 Shaper or Router? That Is The Question! On my most recent project, the American Chippendale Mirrors discussed in my last post, I was forced to choose between using a table mounted router or a shaper. 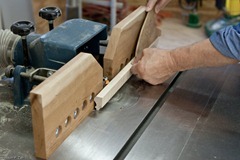 Specifically, was how to shape the picture frame molding which was complicated by the use of tiger maple hardwood. 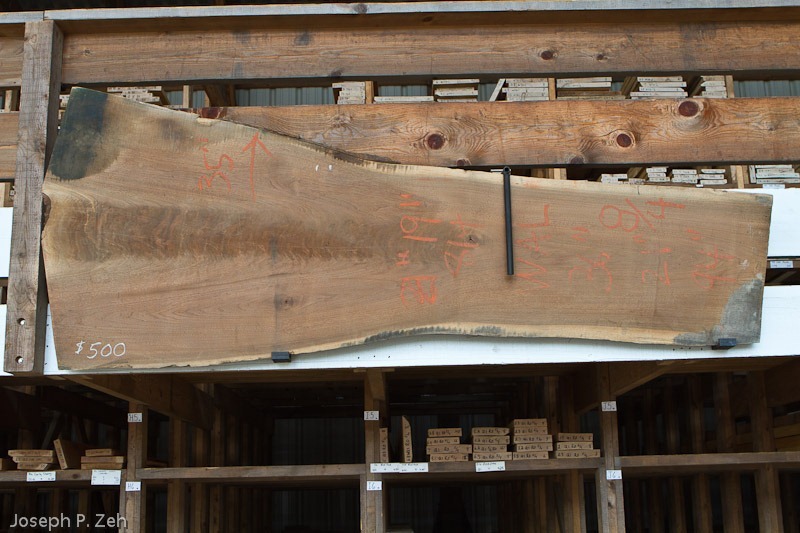 Tiger maple is notorious for tear out whether hand planing, jointing. 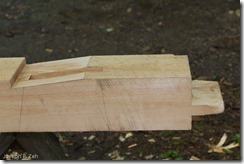 thickness planing or shaping. 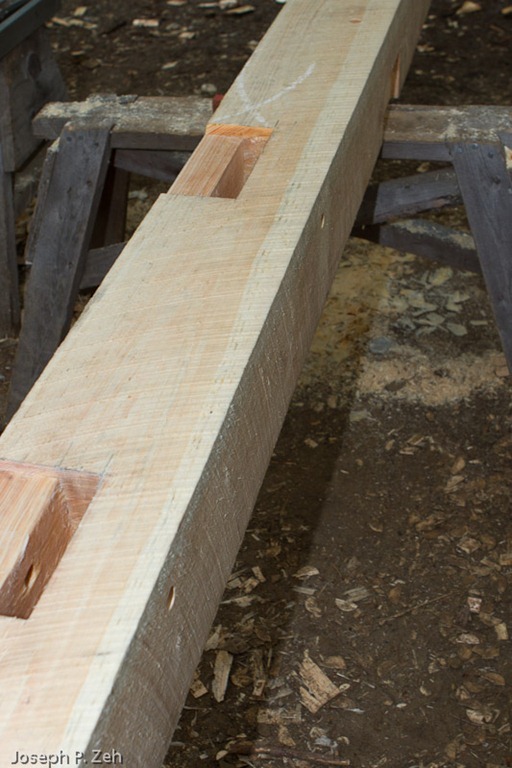 I have described in this blog numerous times how I thickness plane the final 1/8” to 1/16” of tiger maple using my Performax Pro 22-44 for just this reason. 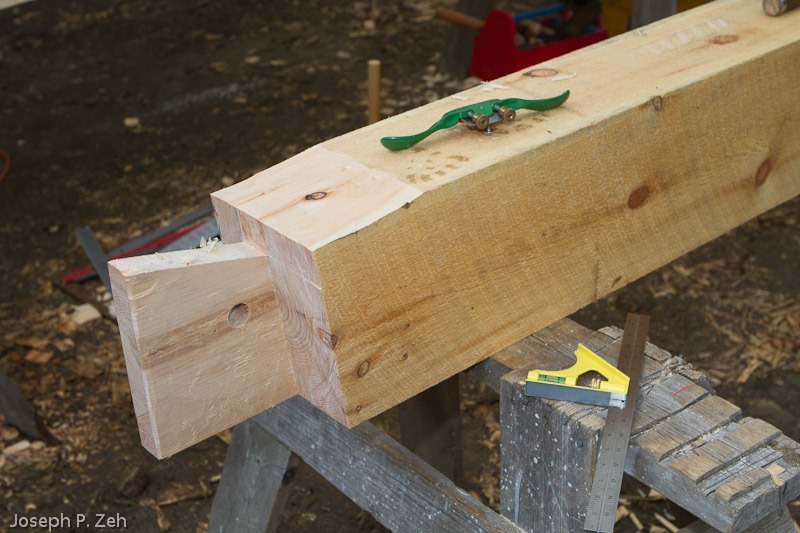 The bit used to shape the molding in this project was a CMT 855.902.11 Traditional 1/2” shank bit. 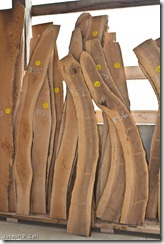 Its overall cutting length is 1 5/8” and its overall diameter is 1 1/16”, rather small for even considering a shaper. 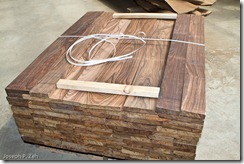 The primary decision making criteria between using a router and shaper is the bit diameter. Bit RPM being equal, large diameter bits have a higher tangential velocity compared to small diameter bits. 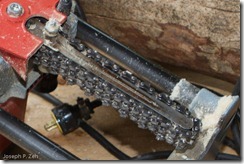 Large diameter bits remove more material requiring more horse power. 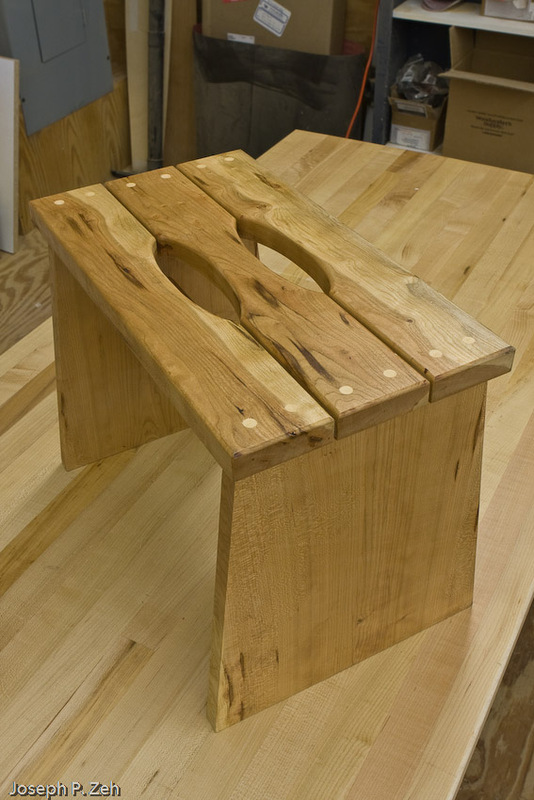 This is where routers and shapers differentiate themselves (portability is another but not applicable when comparing table mounted routers to shapers). Routers generally spin at higher RPM, typically 10,000 to 21,000 RPM and range from fractional horsepower to 3 1/2 horsepower. Hence they are useful mostly for small diameter bits. 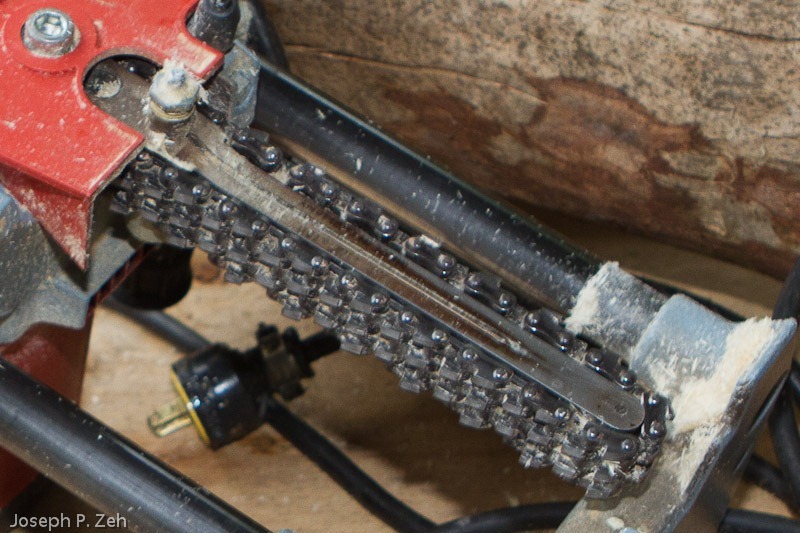 Shapers generally have two or three speeds to select from, usually 8,000 and 10,000 RPM and start at 2 horsepower and range to in excess of 5 horsepower. Hence applicable to large diameter bits. 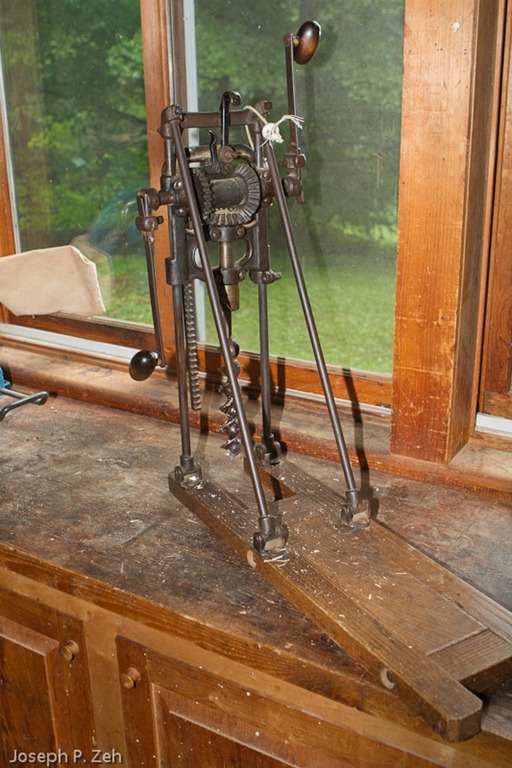 RPM are directly comparable, but not all horses are equal; a 3 1/4 HP router is not equal to a 3 HP shaper, the latter being much more powerful. I should also mention that shapers tend to be much more hazardous than routers, so special attention to safety is required. This all being true one would normally mount this bit in a table mounted router and shape away. I started that way and quickly realized I needed to consider the shaper. 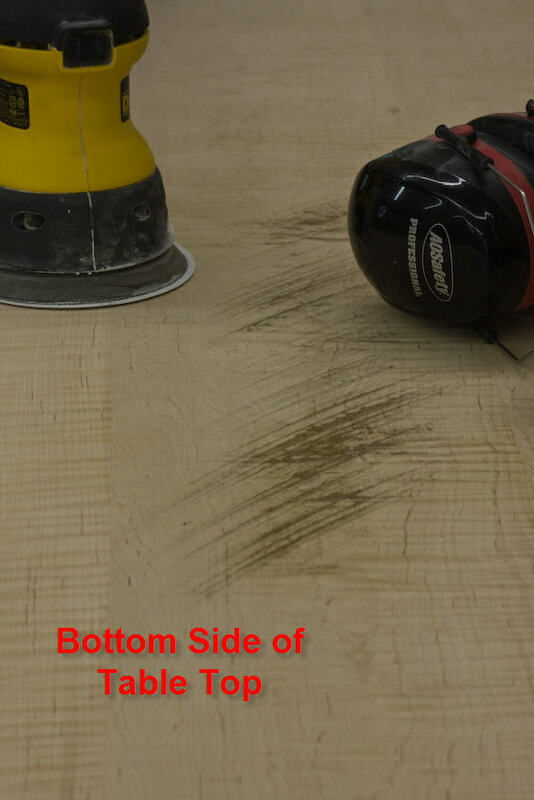 Even though I was using a 3 1/4 HP variable speed router with speeds selectable from 10,000 to 21,000 RPM I couldn’t achieve a tear out free finish, no matter how many light passes I made. I put the same bit in my shaper and selected 10,000 RPM and discovered I could make tear out free finishes if I cut the molding in five light passes and proceeded slowly and smoothly on each pass. I can’t explain this rationally but I can demonstrate it quite clearly. If someone has a technical explanation I would certainly like to hear it. This is not the first time I discovered this about tiger maple. 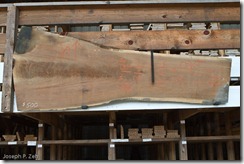 In fact, on almost every project requiring tiger maple molding I end up on the shaper. I always try to avoid the shaper because of the long setup time required, but in the end I succumb. So this time I committed to design a fence for my shaper that will allow fast setups, flexibility, and safety. Designing such a fence may take a while but will pay large dividends in the end.